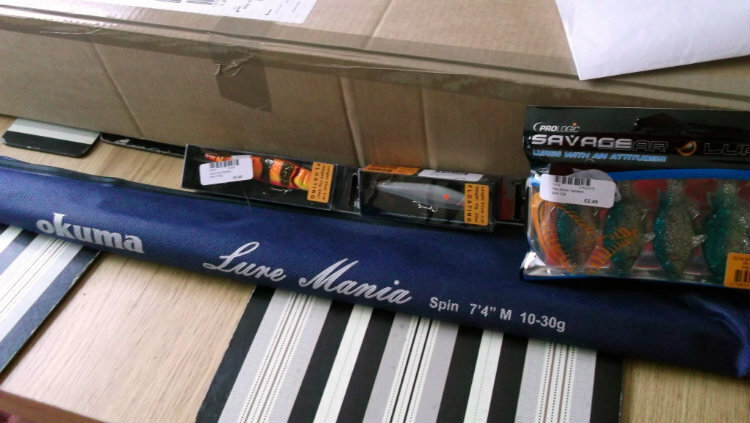 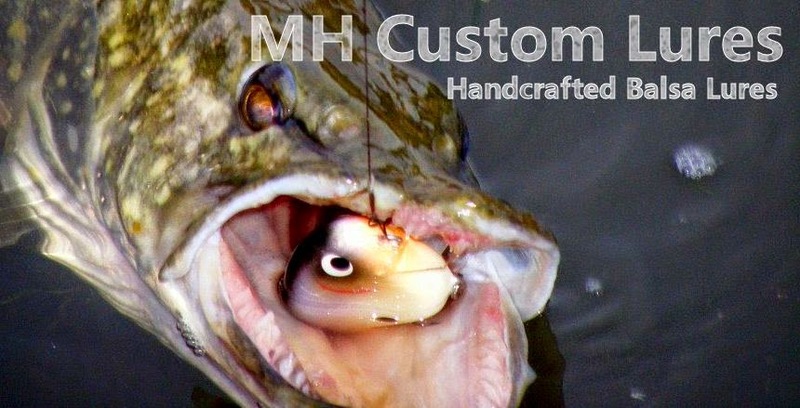 Alex Makk's Fishing: Had a delivery, new rod and a few lures. Had a delivery, new rod and a few lures. Yesterday I got round to using the voucher I won at the lure fair back on Saturday, I made an order for a new rod and a few lures just to round it off at the value of my voucher. 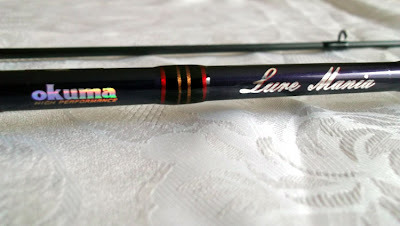 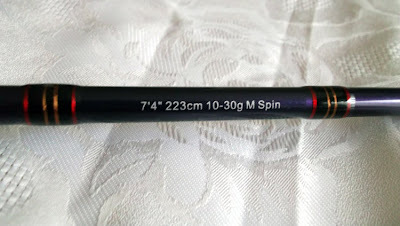 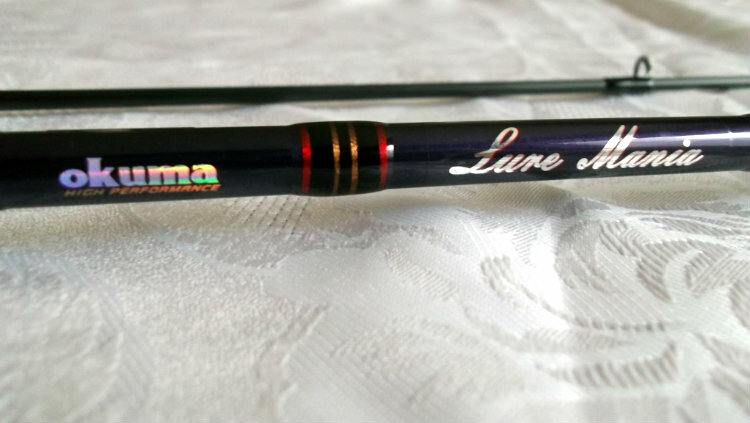 Before I opted for the Okuma, I was more interested in a Ron Thompson spinning rod, but got told advised that the Okuma would be a better pick, especially for what I was after. 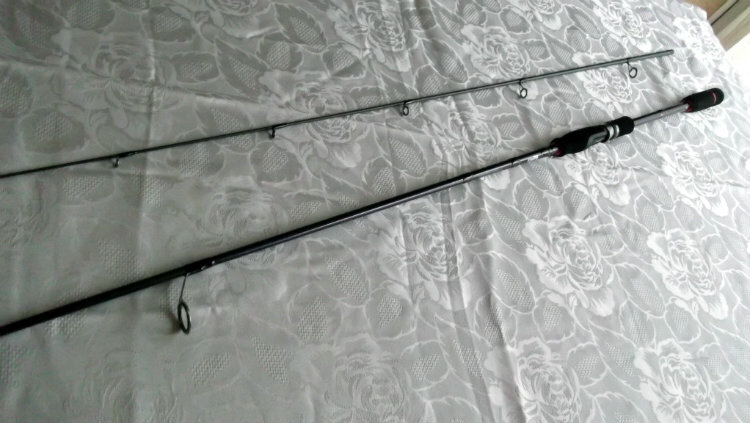 It's certainly in anyone budget at around £30 you can't go wrong. 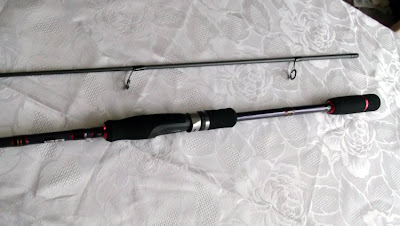 The action is somewhat similar to a Savage Gear bushwhacker I had a waggle of at the lurefair, there's several models of the Lure Maina you can choose from, even two trigger/multi versions. I'm now looking at getting a nice 2500 Shimano to pair up with it.